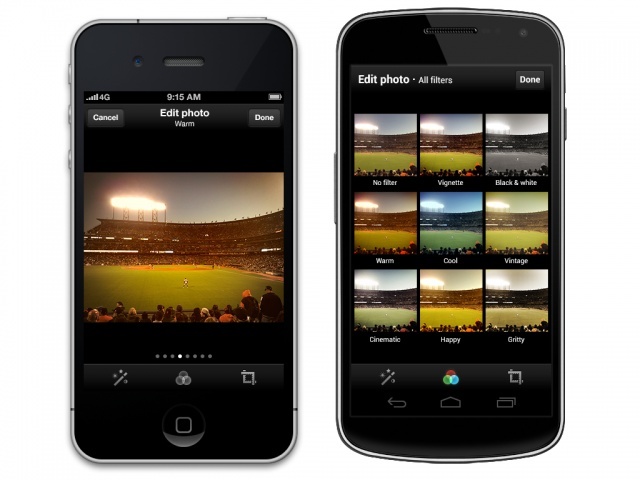 Twitter has unveiled Instagram-like photo filters for its official mobile apps on Android and iOS. It’s been rumored that Twitter would roll out this feature by the end of the year, and the time has come. You can choose from 8 basic filters and crop/enhance your pics before sharing them in the Twitter app. This addition comes after Instagram recently shut off photo previews for links shared in Twitter. The update should be arriving in the App Store and Google Play any moment now. If you can’t see it on your device, check back in a little while. Update: It’s live in Google Play, but the App Store is still showing the old version. Update 2: The iOS update has gone live!